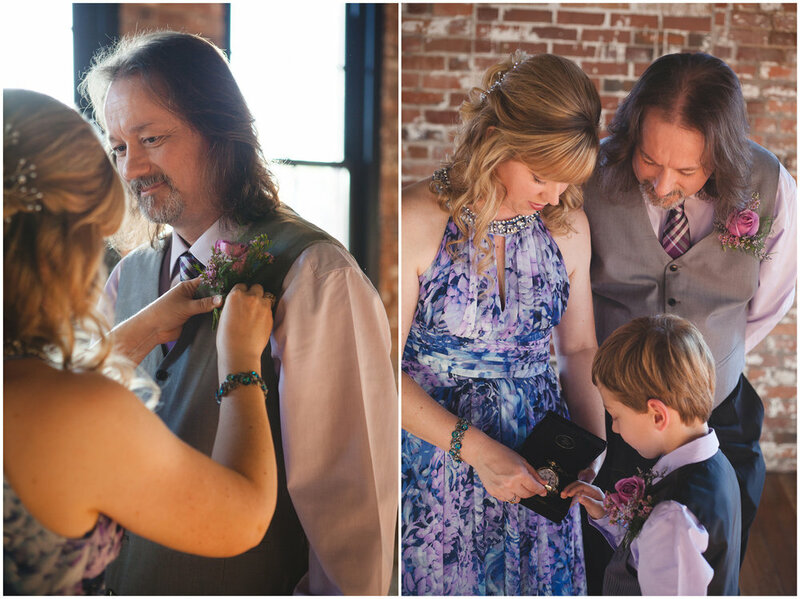 Emily and Gary's story goes back a few years; back when Gary worked at a photo lab, and Emily spent a lot of time shooting film in the hopes of getting a chance to talk to him, even though he rarely worked the counter. 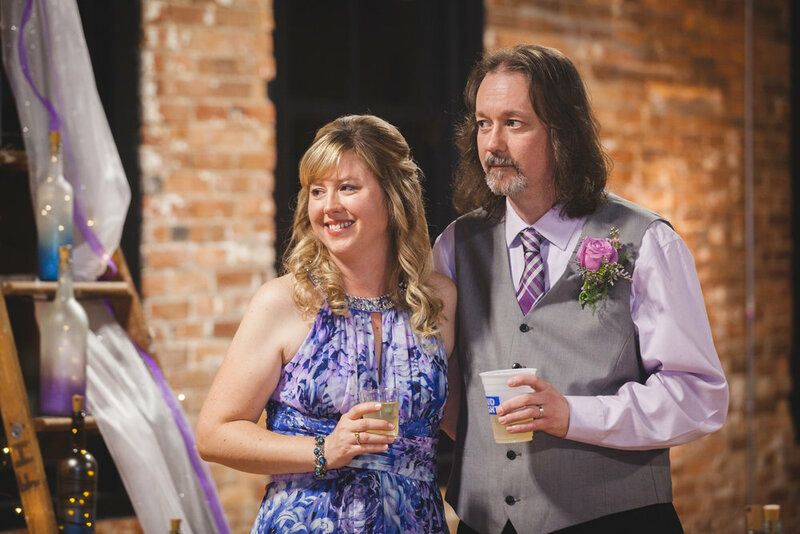 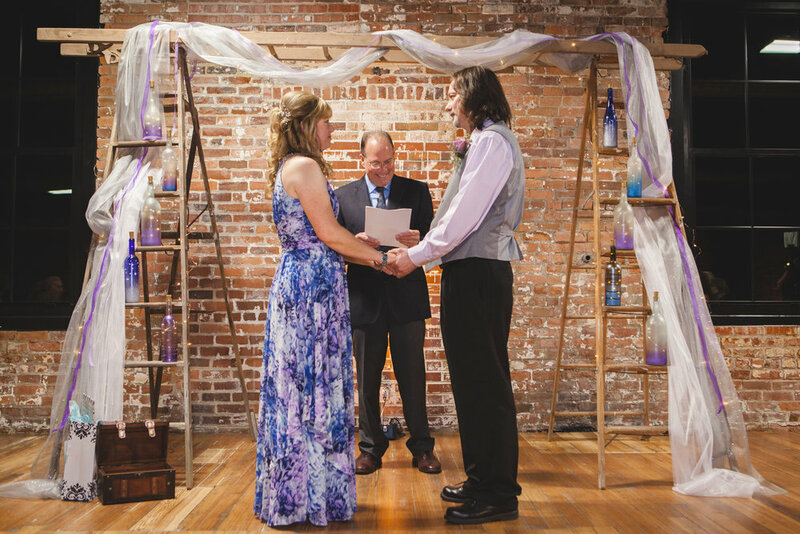 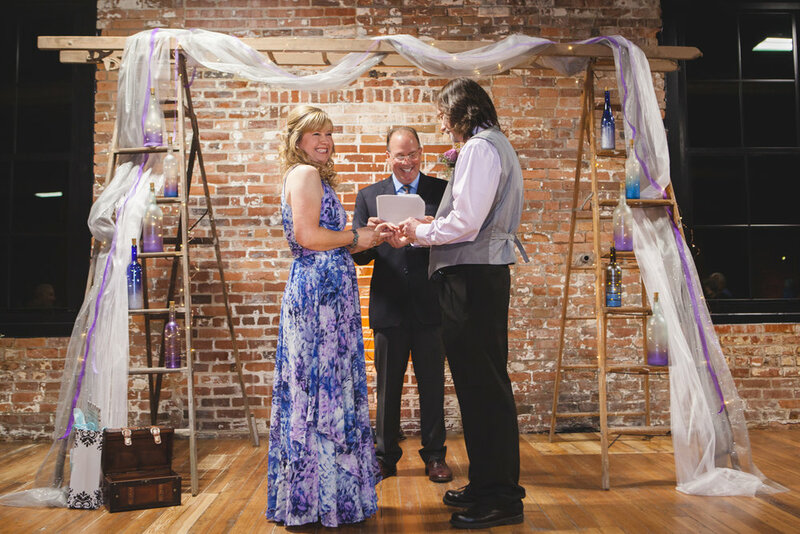 Emily chose a gorgeous Monet-inspired watercolor and water lilly them for the wedding, which beautifully contrasted the brick, industrial chic feel of the newly-opened Trailside Event Center in Peoria Heights as well as the chilly, November temperatures. 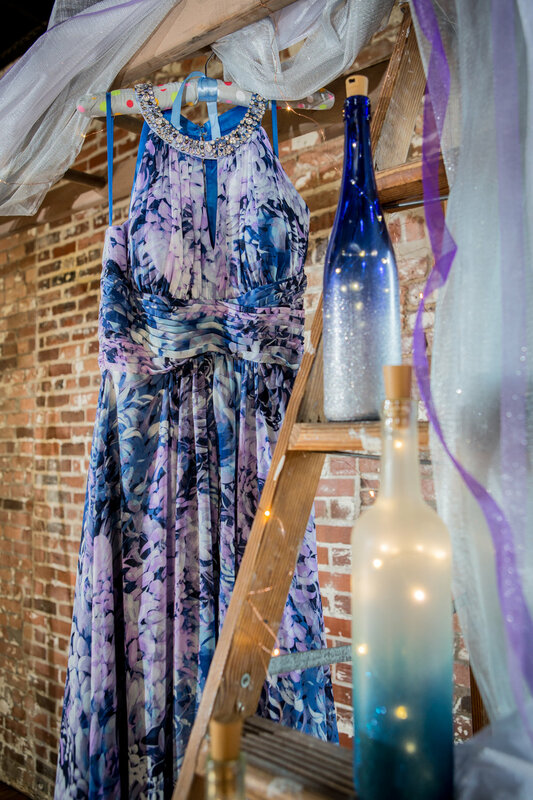 The theme was even reflected in her watercolor dress - perfect for an artist like herself. 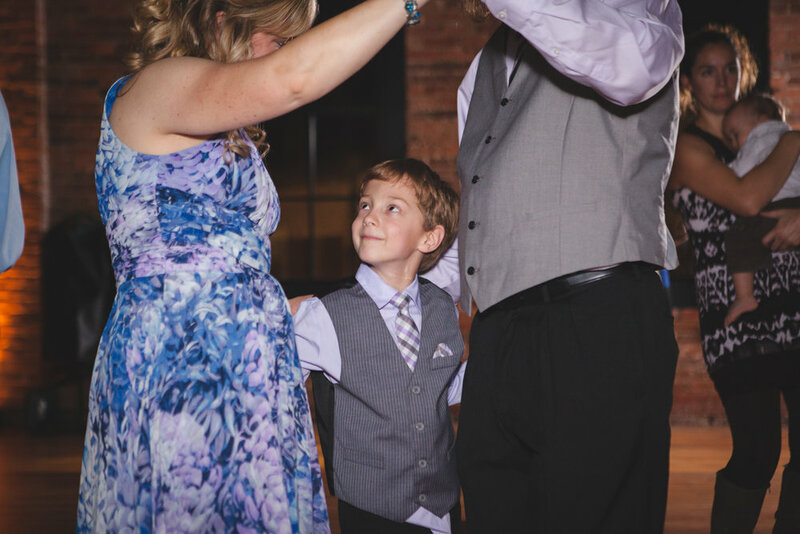 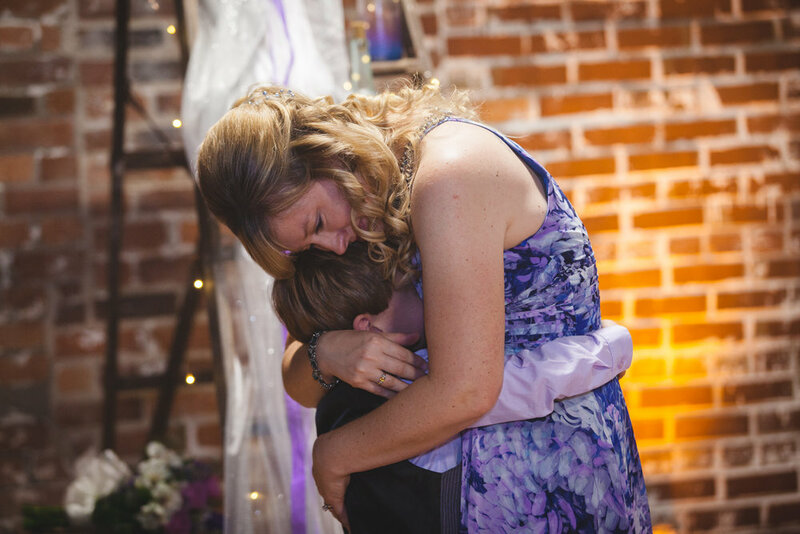 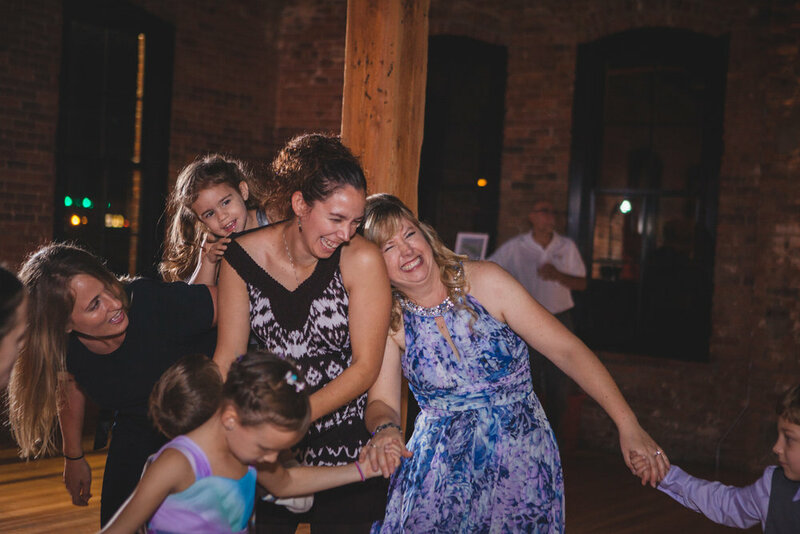 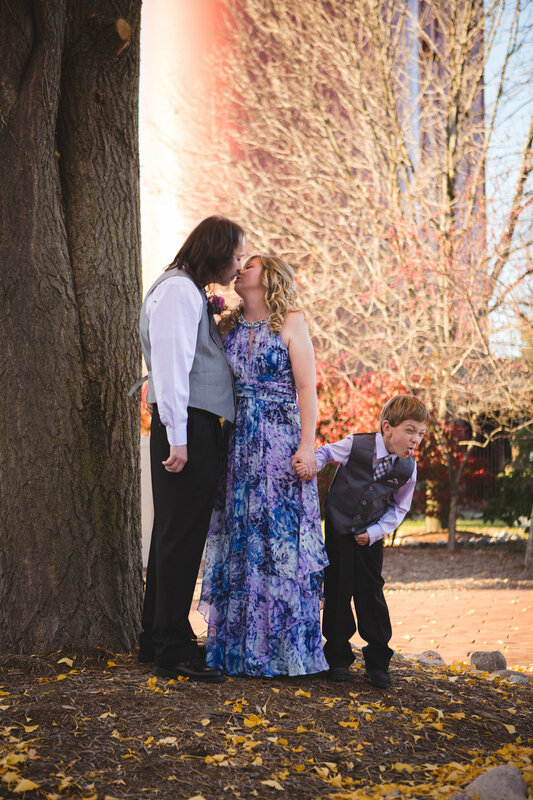 We love how the couple included Emily's son, and he was a joy to have at the wedding. 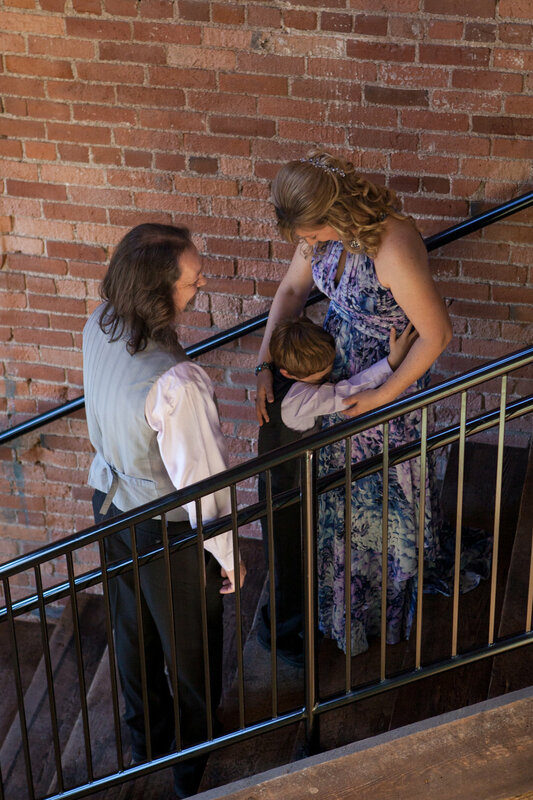 From sneaking a peek before the first look to adding comic relief to the formal portraits, walking Emily down to the altar to busting a move with her on the dance floor. 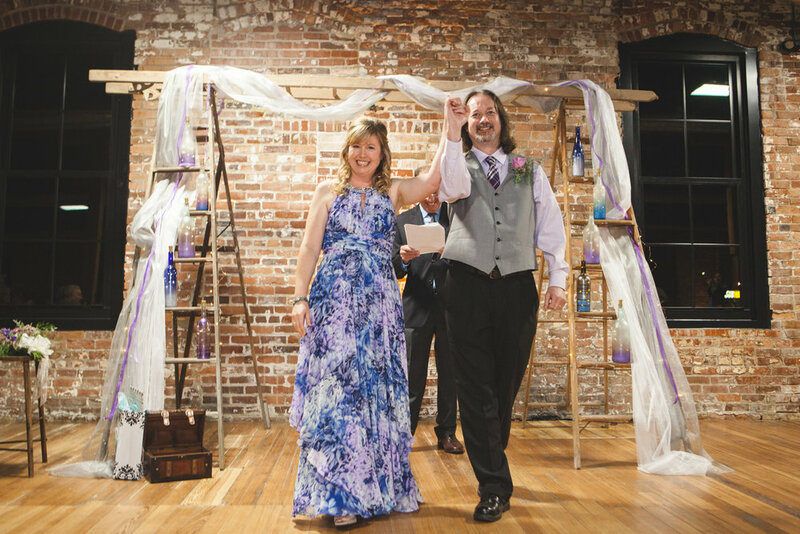 We especially loved the couple making their exit to the Star Wars theme after the first kiss! 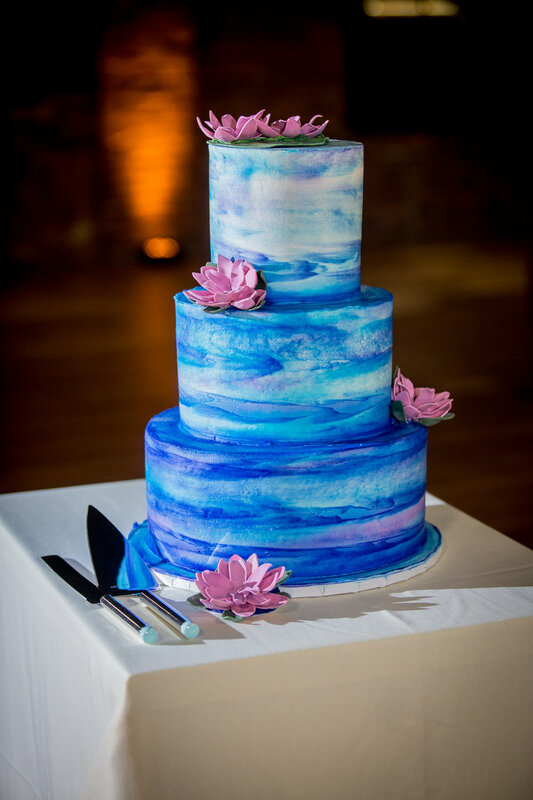 It was a quite a sight when Martha of Trefzger's bakery rolled in the gorgeous, tiered watercolor cake and generously sprinkled on edible glitter. 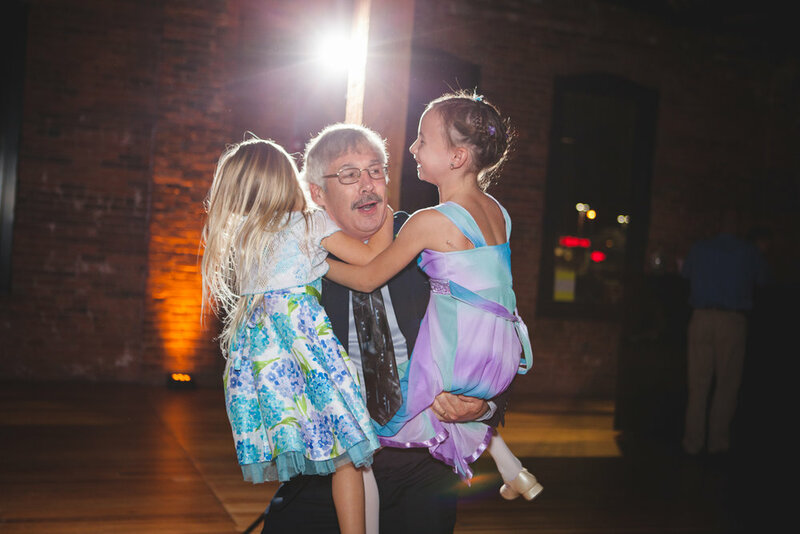 The live band kept the spirits high and the guests on their feet long into the night. 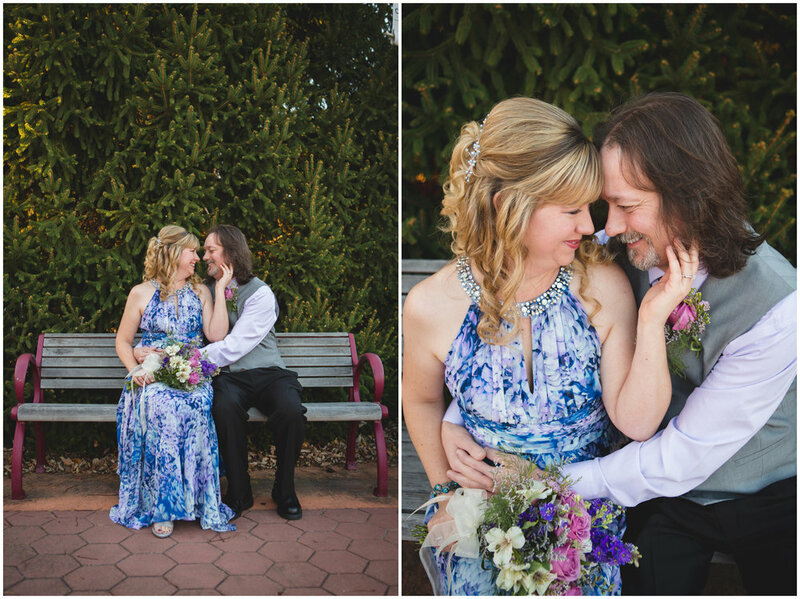 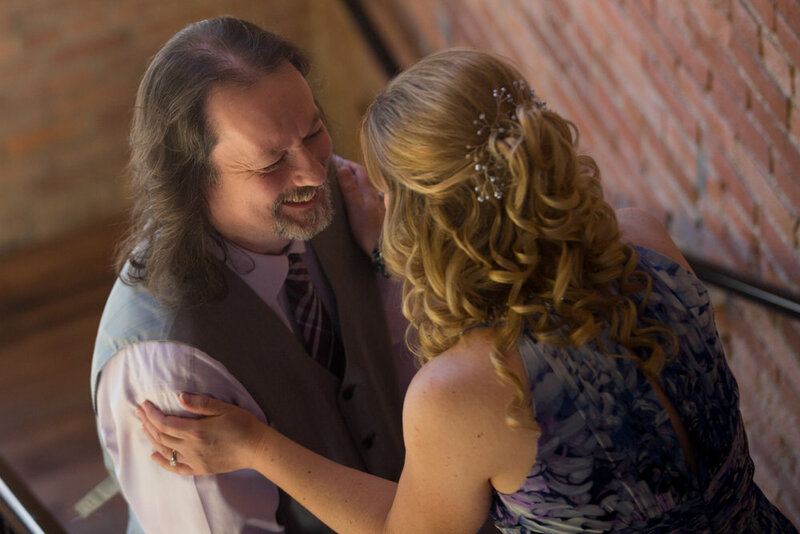 Thanks so much to Gary and Emily for letting us tell your love story! 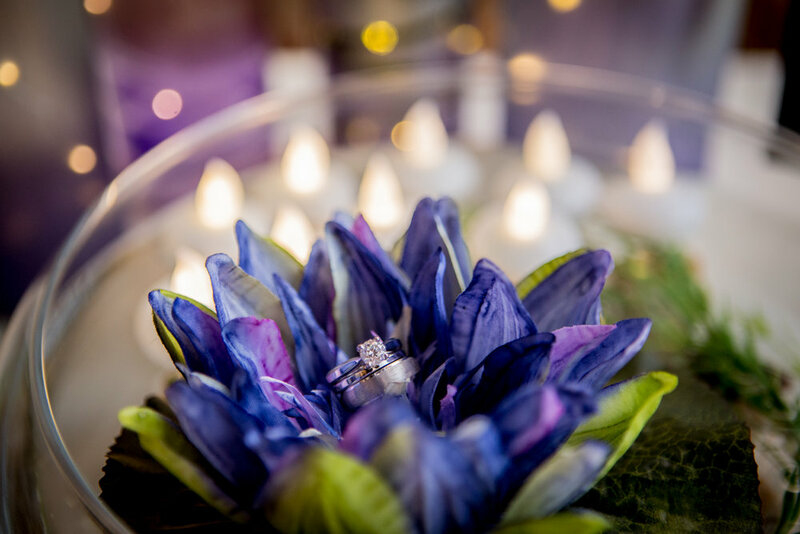 The Faits is made up of Laura and Evan Fait, husband & wife wedding photographers with an emphasis on storytelling. 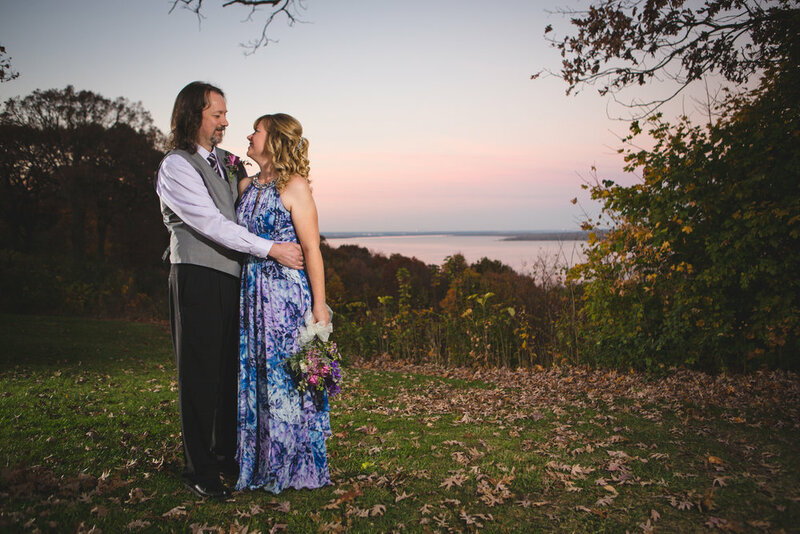 While located in Peoria, Illinois, they serve the Central Illinois area including Bloomington-Normal, Ottawa, LaSalle-Peru and are available for travel. 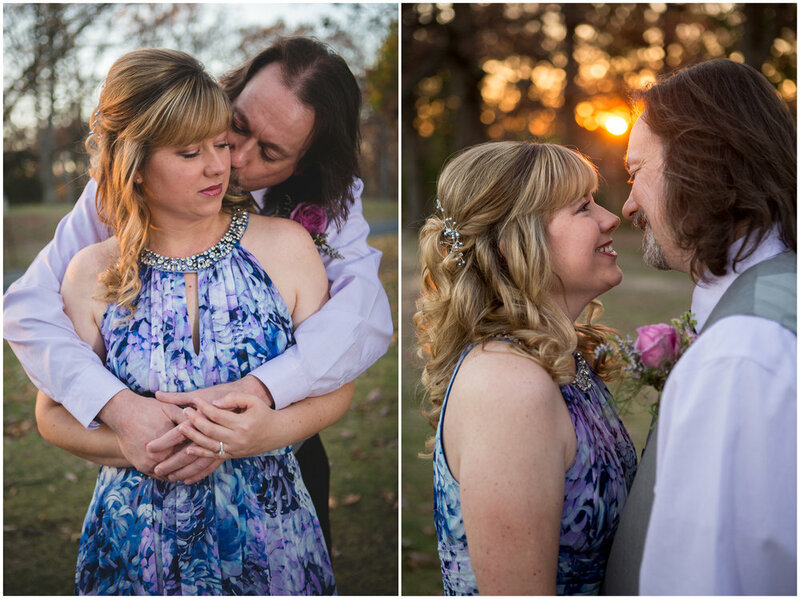 They strive to create photos that are creative, personalized, and unique as each couple’s love story.